I designed and illustrated this social media icon in support of the efforts to stop the Dakota Access Pipeline being built north of the Standing Rock Reservation where I am from. The Icon was created to be used in a campaign for the nation’s largest online racial justice organization Color Of Change. In addition to a short turn around time for the graphic, the icon needed to standout from the other graphics already created in the movement, be culturally and politically accurate, and legible as a small social media icon. The project was a great opportunity for me to leverage my background in the NoDAPL movement and as Lakota designer. 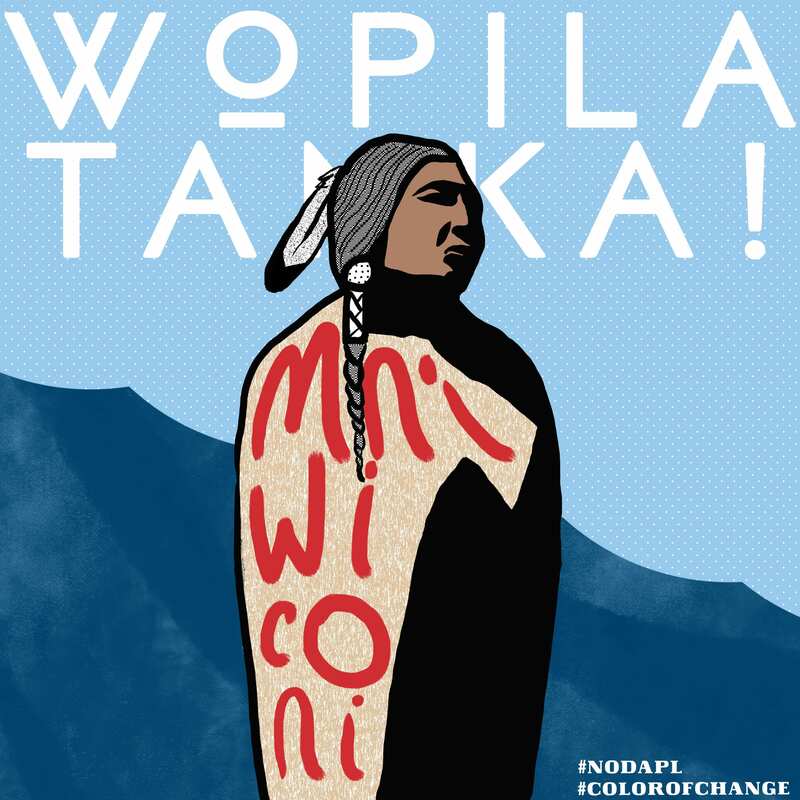 I chose the phrase Lakota phrase “Wopila Tanka” as a sign of gratitude to all of the organizers and allies supporting the cause.